Need to print private documents? With advance IPSec encryption, 802.1x authentication, and password protection, the LaserJet P4015n is ready. You can also share it on a network, and it's fast, with speeds of up to 52 pages per minute. 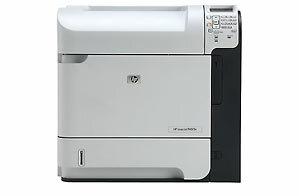 Get exclusive offers and discounts on additional supplies, shop from a customized supplies list, and get free next-day shipping with "My Print Rewards"
2008 Hewlett-Packard Development Company, L.P.